Each week we send hundreds of thousands of customers all the pre-measured and perfectly proportioned ingredients they need to prepare delicious and healthy meals at home. 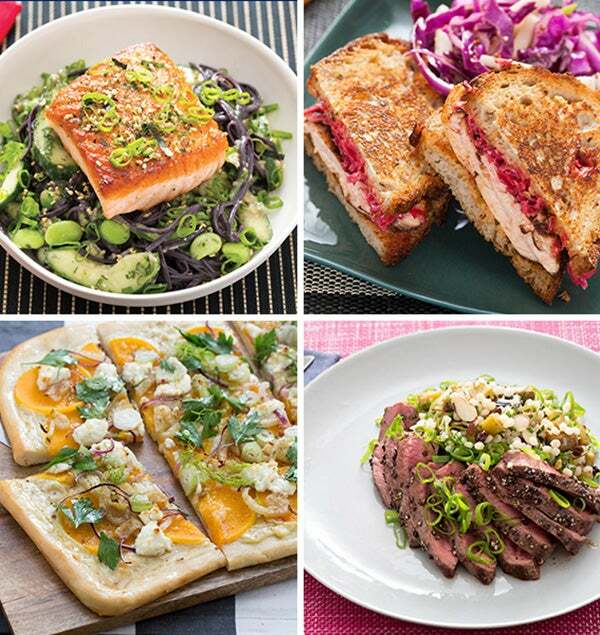 We introduce our members to new ingredients, flavors, and cooking techniques with seasonally-inspired recipes that are always delicious, fun and easy to prepare. To support our growth and develop a more sustainable food system, we work directly with family-run farms to grow specialty produce just for us, affordably bringing the freshest ingredients into our customers' kitchens. 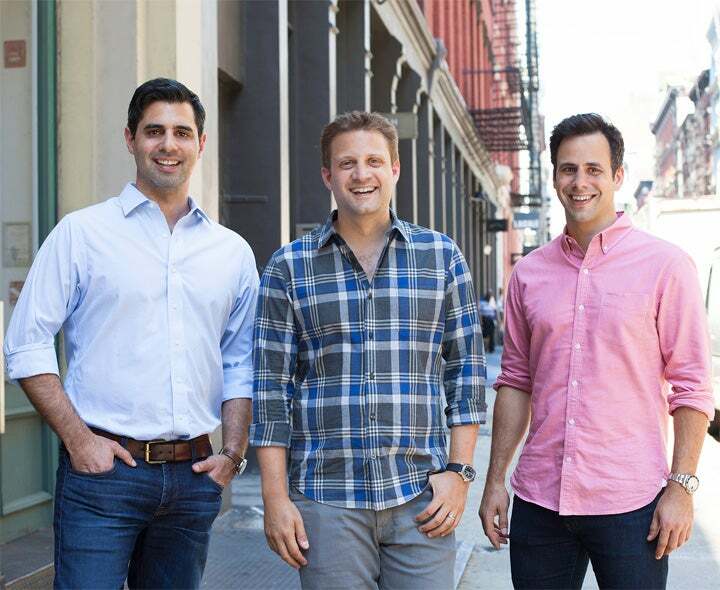 In the summer of 2012, Matt Salzberg, Ilia Papas, and Matt Wadiak tested the first Blue Apron recipes in their tiny New York City apartments. Their goal was to make the experience of cooking with quality produce and specialty ingredients accessible to everyone, no matter where they live or how busy they are. The three hand-packed the first Blue Apron boxes themselves, delivered them to family and friends, and received immediate positive feedback. Four years later, Blue Apron has expanded tremendously and as a team, we work every day to live and breathe our mission. We send over 8 million meals per month to our home chefs nationwide, and we have thousands of employees that work across four offices to ensure each customer gets the highest quality product every week. 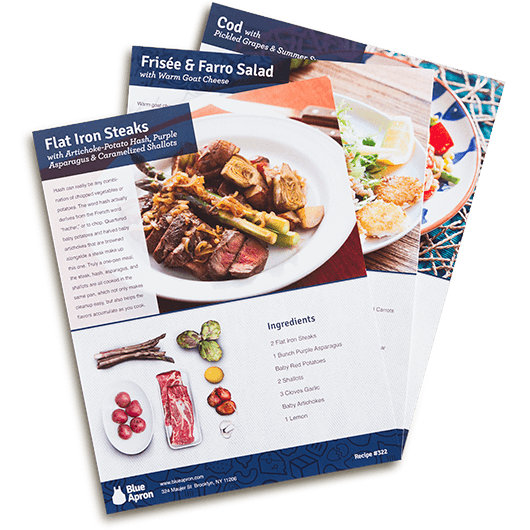 Worn by apprentice chefs in France, the Blue Apron has become a symbol of lifelong learning in cooking. Since the beginning, the entire Blue Apron team has been awed by the dedication of our customers to their culinary education. We’re thrilled to be welcomed into our customers homes and part of their weekly cooking routine. We win together, not alone. We seek growth and learning, not perfection. Check out our Engineering Website!